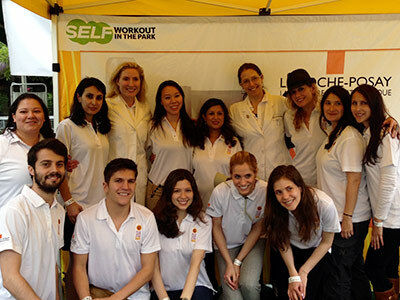 Photos from the Saturday, May 11, 2013 event. 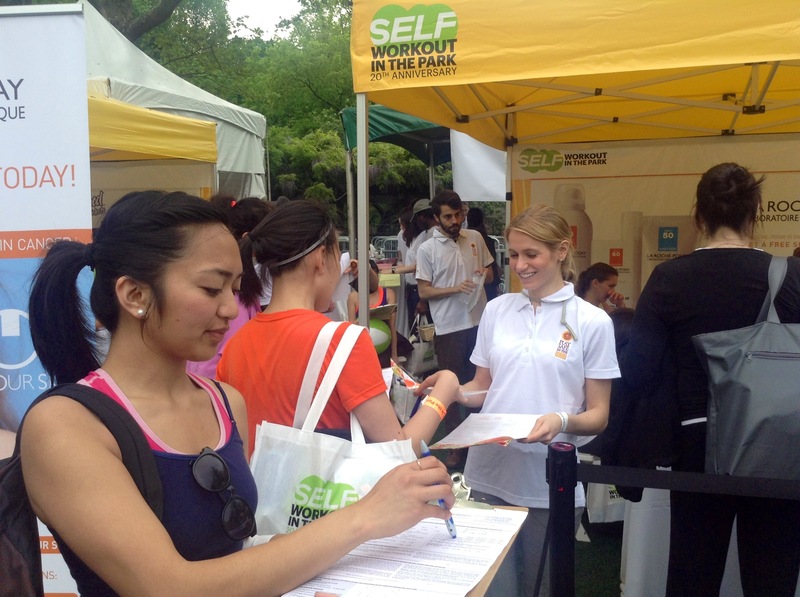 On Saturday, May 11, the largest volunteer team EVER assembled for a single WDS event enthusiastically served steady crowds at the highly popular SELF Workout in the Park, led by event chair Erin Gilbert, MD, PhD, FAAD. 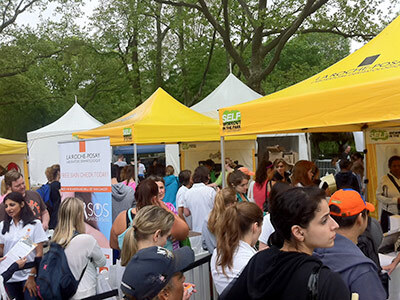 Thanks to everyone who contributed to the success of the day, including NYC dermatologists, Downstate SUNY residents and NYU medical students, support volunteers and corporate reps from sponsor La Roche-Posay, Medicis and Duane Reade. It's because of each one of you that we were able to reach so many with the message of skin protection and sun safety. 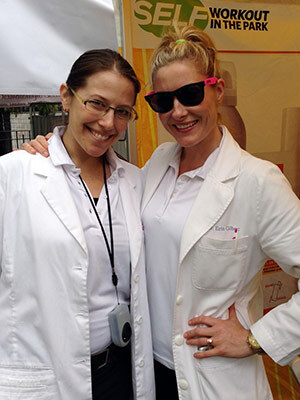 108 free skin cancer screenings were performed by the hard-working team of board-certified NY dermatologists, with 40% referred to dermatologists. A huge round of thanks and kudos to all. 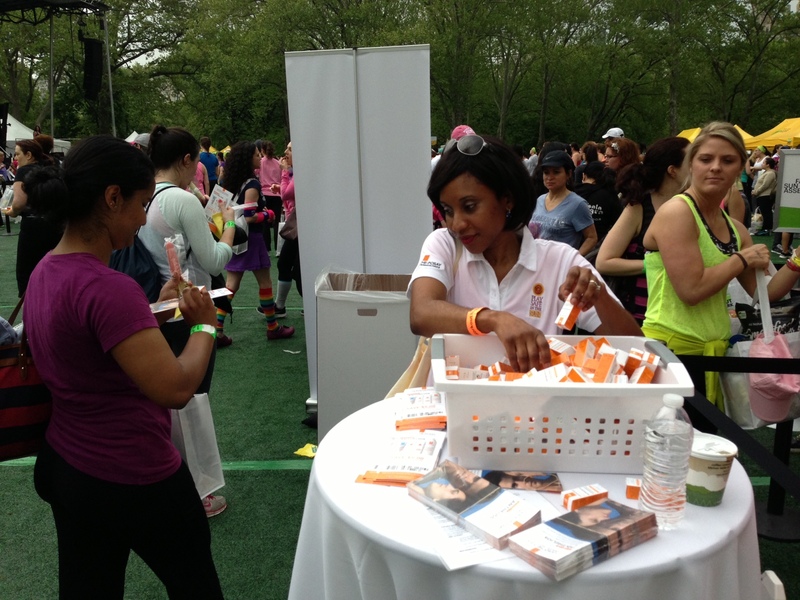 Thank you to all of our dedicated and enthusiastic volunteers who reached out to so many young women! 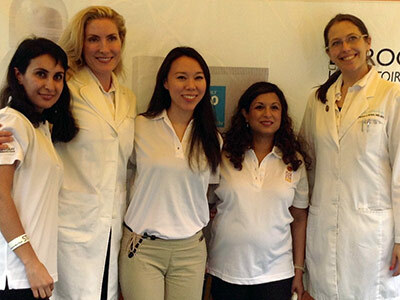 108 skin examinations were performed by our hard-working team of NYC dermatologists. 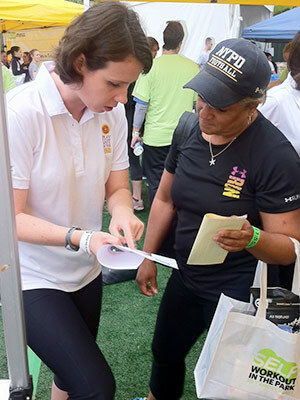 Teamwork made the day run so smoothly and enabled us to effectively manage the heavy traffic coming into our tent for skin cancer screenings and sun damage assessments. 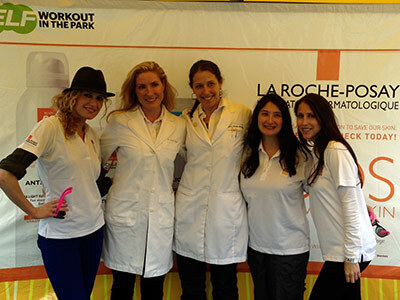 Dr. Erin Gilbert (second from left) and Dr. Jessica Krant with SUNY Downstate resident volunteers Sophia Kogan, MD (far left), Melanie Wong, MD and Katherine Siamas, MD at the SELF Workout in the Park in Central Park. 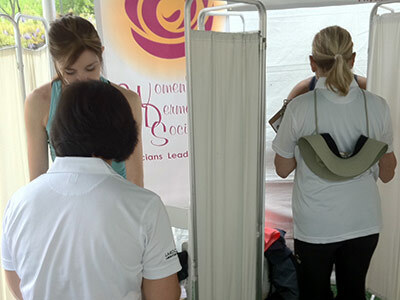 We were so fortunate to have so many very helpful residents and medical students with us for this busy outreach! 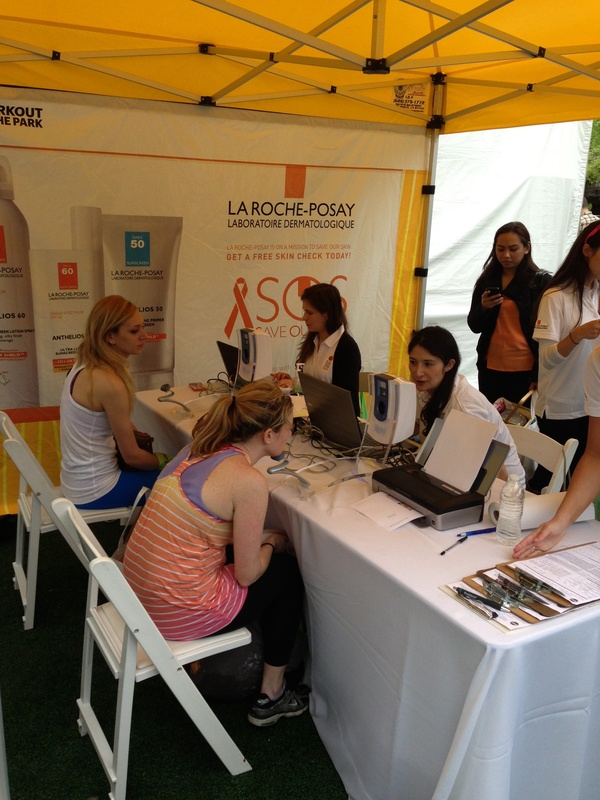 Young women participating in this event were very interested in and concerned about the sun damage on their faces. 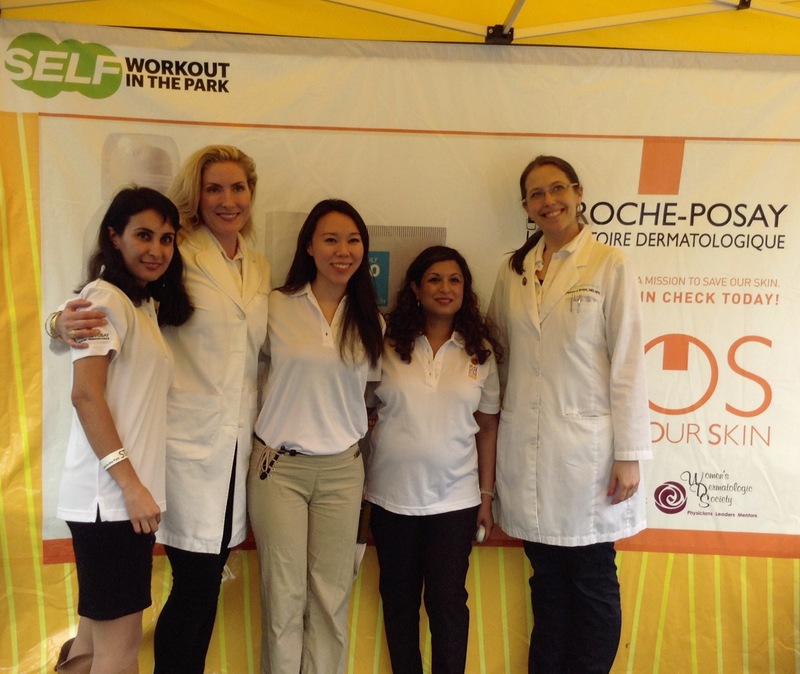 Thanks to Dr. Gilbert and her incredible team of dermatologists, residents, students, support staff and corporate reps from La Roche-Posay and Medicis, women learned about sun safety as a way of life. 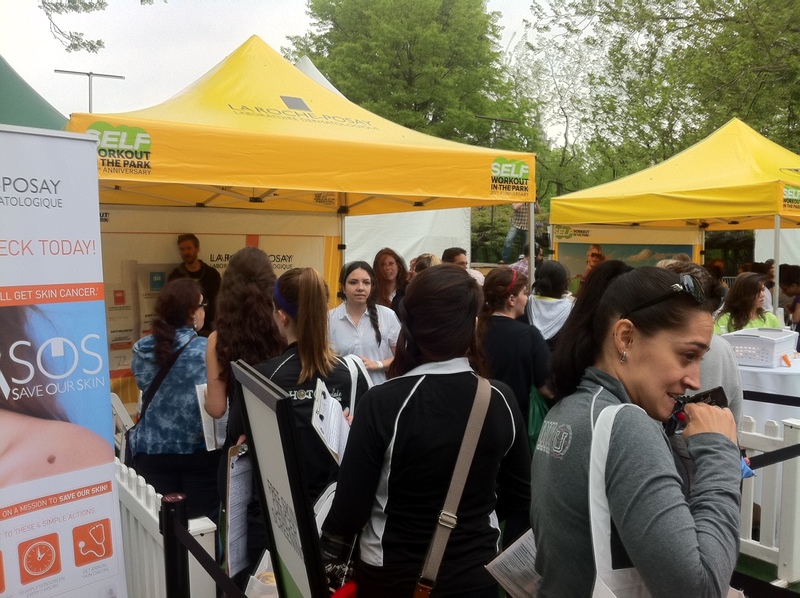 As always, we were busy from the moment the event began with people lining up for free skin checks and sun damage assessments. 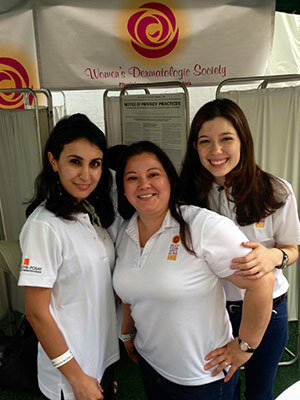 Volunteering together is fun and rewarding for WDS friends! 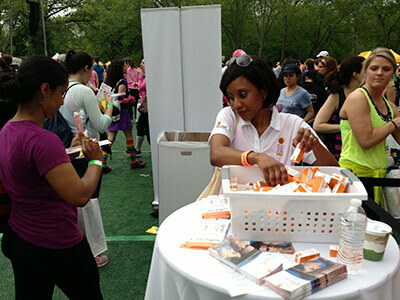 Volunteers really enjoyed this energized event and reaching out to health-conscious women to promote skin protection. 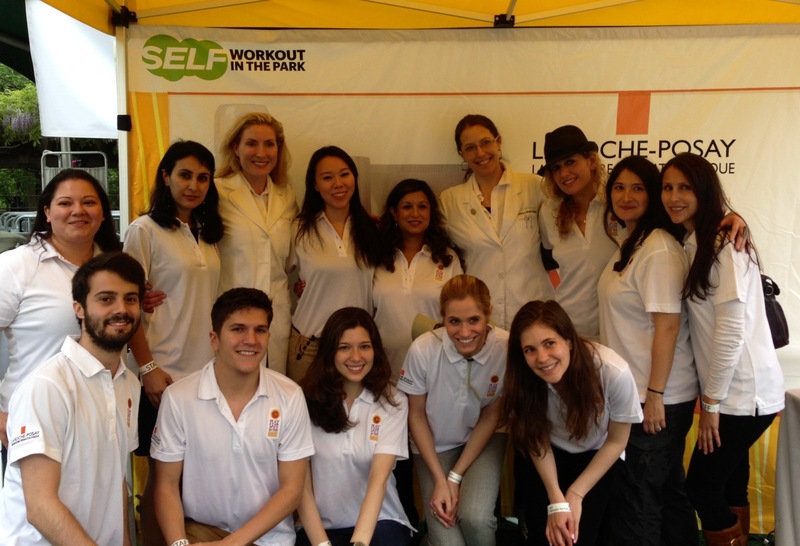 Several NYU medical students helped people get started for their skin examinations. 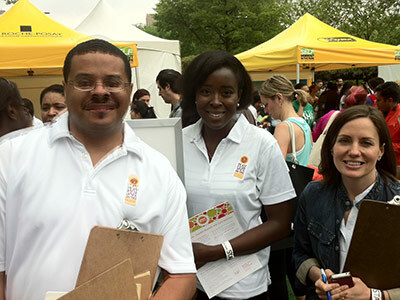 It was great having so many students and residents helping us serve the public. 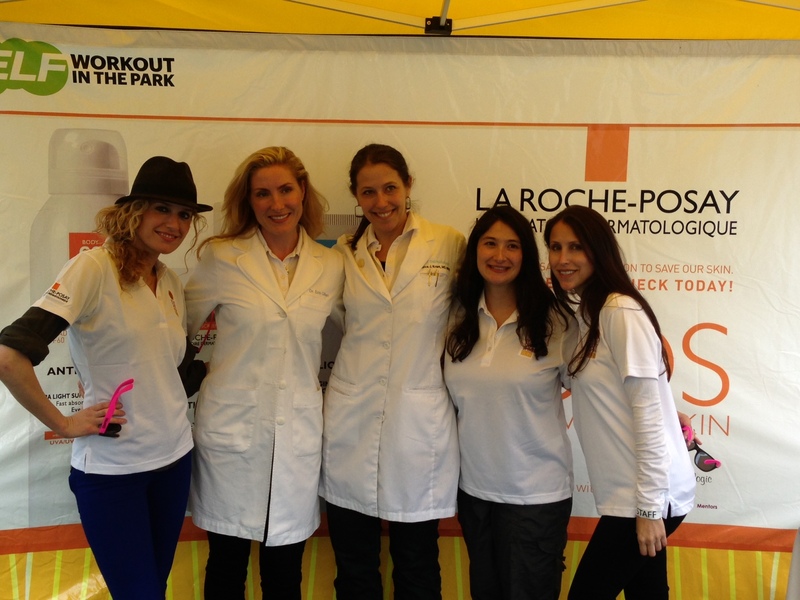 Thank you La Roche-Posay for generously supporting this program and providing sunscreen. 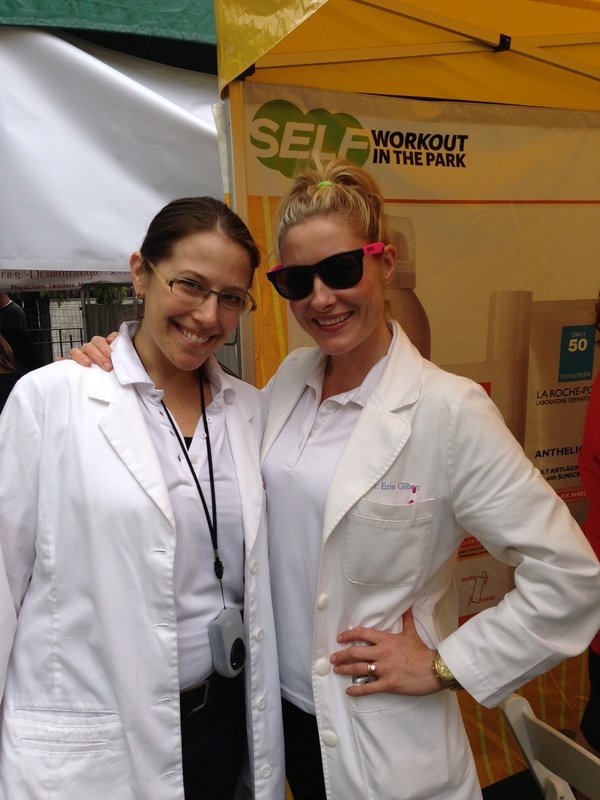 Working together for the cause of sun safety! 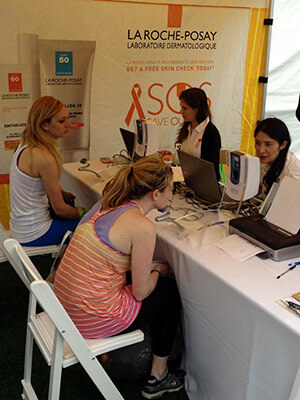 WDS screenings were NOT just for women! 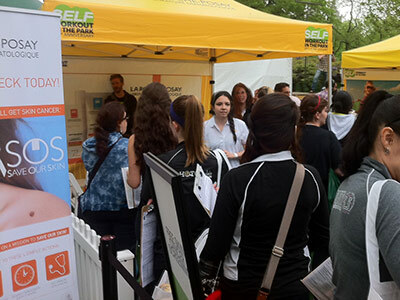 It was great to see some men interested in skin cancer detection and proper sunscreen application. NYU medical student Nathan King (left) helped the intake process, pictured here with two of our patients! 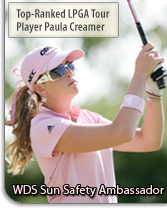 Women were fascinated and often dismayed by the extent of sun damage as revealed by the Imager. 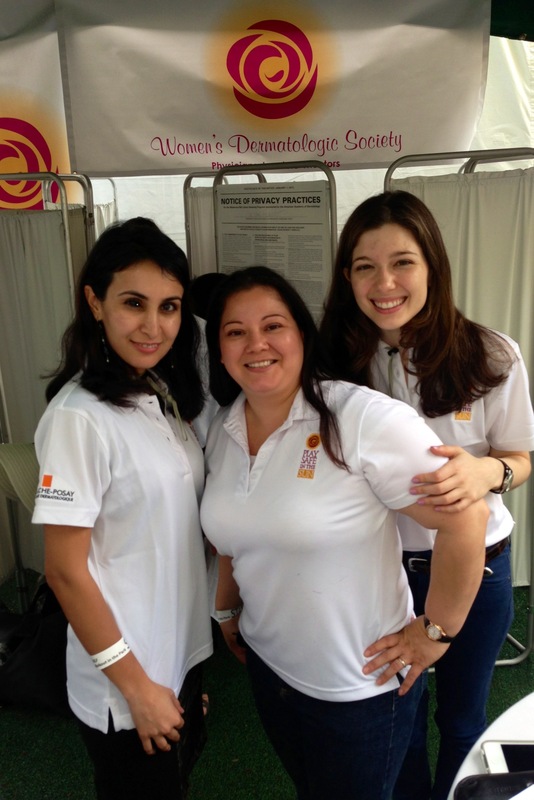 What a volunteer team we had--pictured here, from left: Pantea Hashemi, MD, Jacqueline Perez, RN and medical student Alexandra Price. 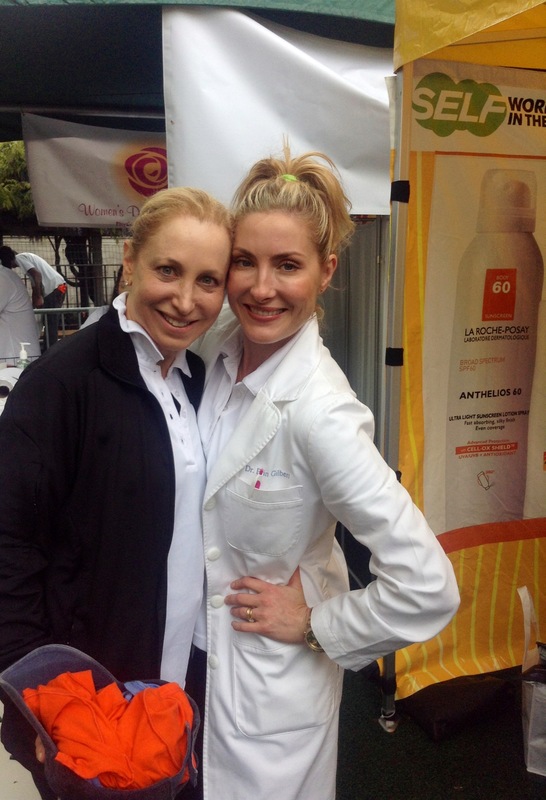 Our outreach efforts work so beautifully because we have such a variety of volunteers working together, including local dermatologists, nurses, support staff, residents, students and even family members pitching in! 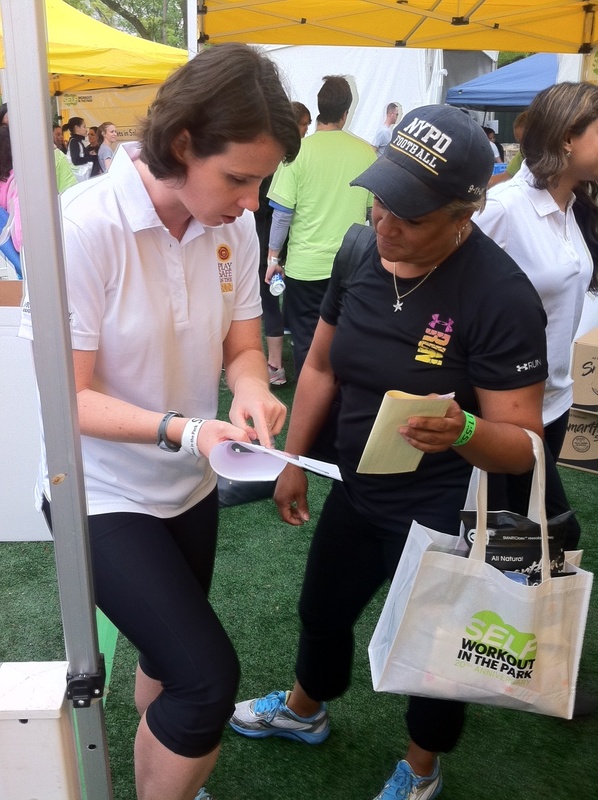 Thank you to one and all for making this event so successful, and special thanks to Erin Gilbert, MD, PhD, FAAD for serving as Chair of this wonderful outreach! How fortunate we were to have so much fantastic help! Thank you all. 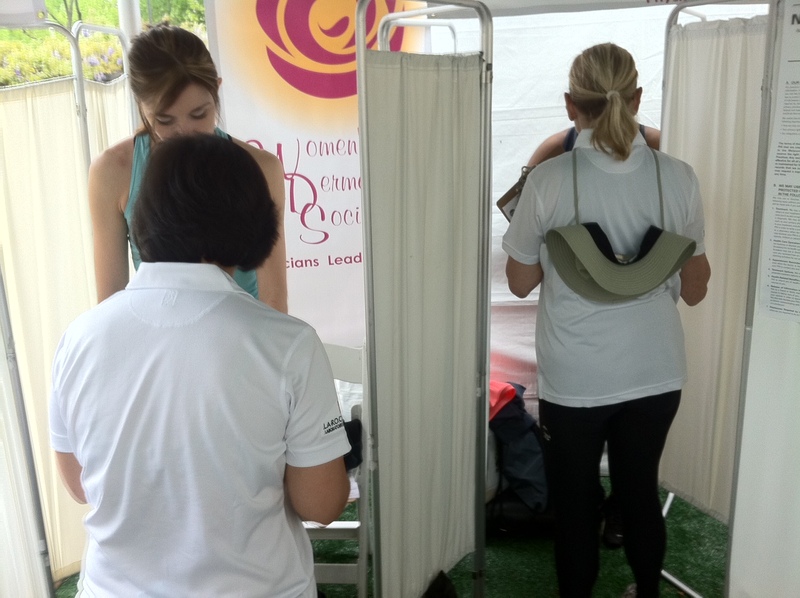 It was so gratifying to see so many young women who were taking their skin health so seriously--gladly waiting on line to get their skin checked by one of the volunteering dermatologists and undergo a facial sun damage assessment. 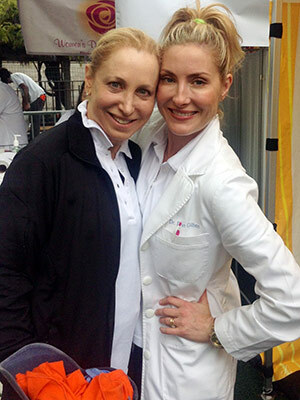 Semi-private and private screening areas were set up so that dermatologists could examine exposed areas of the face and body, as well as specific areas where individuals may have had specific concerns. A few suspected cancers were identified, requiring further diagnosis and biopsy by dermatologists. Fabulously flooded with visitors from the moment that the gates opened. 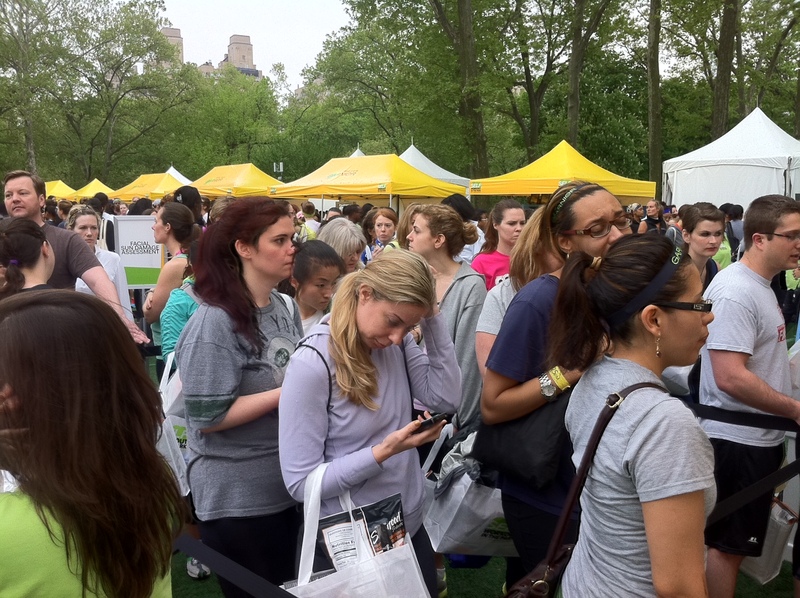 Great seeing so many health-conscious women queuing up for skin checks! SELF Workout in the Park visitors were highly interested in better understanding the extent of sun damage they had on their faces. 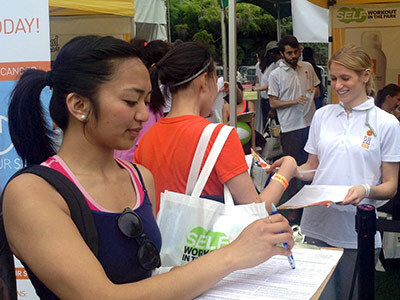 Volunteers explained sun protection guidelines to women of different skin types and ages.